Welcome to Rancho Folclórico "À Portuguesa"s home on the internet! We welcome you with open arms and encourage you to peruse through our pages and links to get a better feel of who we are and what we do. Enjoy! Bem vindo à página de internet do Rancho Folclórico "À Portuguesa"! Convidamo-vos a visitar e a participar no nosso site para que vejam quem somos e o que fazemos. Esperamos que gostem! R.F. À Portuguesa mourns the loss of beloved member. It is with great sadness that we must, so unexpectedly, say goodbye to one of our own. There are no words to express our shock and sorrow. Our deepest condolences and most profound sympathies to his family. Rest In Peace, Andrew Pereira Borba. May God Bless your soul and your family in this difficult time. R.F. À Portuguesa will host the XXXIV Folklore Festival and celebrate its 25th Anniversary! 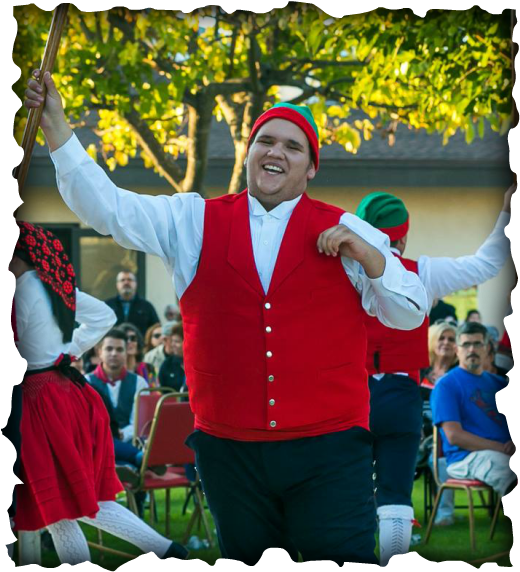 The 34th edition of the Annual Portuguese Folklore Festival of California will be hosted by our group, in conjunction with the celebration of our 25th Anniversary! In honor of this celebration, we're going to try something a little different this year, and take the festival and its participants somewhere it's never been, and bring a tiny slice of Portugal and it's folklore to a Portuguese community that has never experienced it! This year's festival will be held on September 17, 2016, in beautiful Monterey, California! More info can be found on the event page set up for the event on our group's Facebook page, or click here! 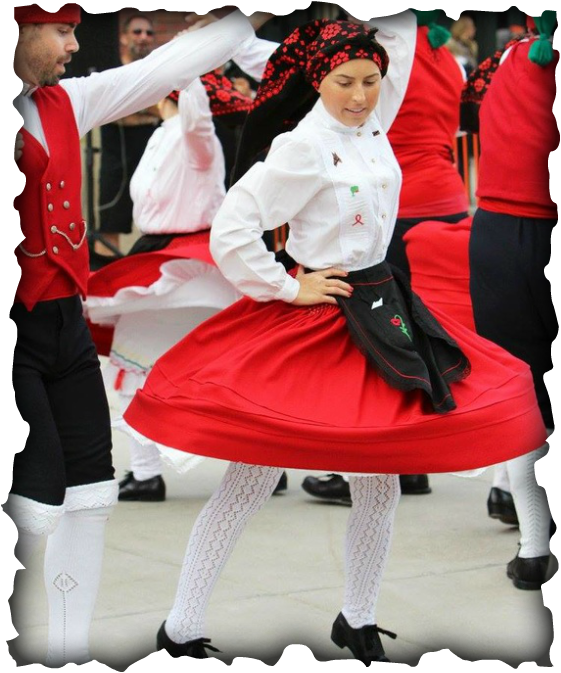 We invite you to come and join us... it will be a fun filled day for the entire family, with Portuguese food, drink, folklore performances and dancing! We hope to see you all there! More info at our webpage specifically dedicated to the festival at www.34folklore.com! A 34ª edição do Festival Anual da Califórnia Folclore Português será organizada pelo nosso grupo, em conjunto com a celebração do nosso 25º aniversário! Em homenagem a esta celebração, vamos tentar algo um pouco diferente este ano , e levar o festival e os seus participantes a um lugar onde nunca passou , e trazer uma pequena fatia de Portugal e o seu folclore a uma comunidade Portuguêsa , que nunca o viu! O festival este ano será realizada no dia 17 de Setembro , 2016, na cidade paisagistica de Monterey, Califórnia! Mais informações podem ser encontradas na página do evento criado para o festival na página do Facebook do nosso grupo, ou clique aqui! Nós convidamo-vos a se juntar a nós ... que será um dia cheio de diversão para toda a família , com comida Português, bebida, actuações de folclore e dança! Esperamos ver todos lá! Para mais informações, visite a nossa pagina dedicada ao festival na www.34folklore.com! RFAP is looking for a few good men... and women! RFAP is always looking for new members to join our group. Always wanted to perform Portuguese folklore? Interested in becoming a part of a hard working group that plays even harder? Give us a call or send us an email and lets meet! O RFAP está constantemente à procura de novos membros para fazerem parte do Grupo. Sempre sonharam em actuar/ dançar para um Grupo Folclore Português? Interessado em fazer parte deste grupo? Contacta-nos ou envie-nos um e-mail para falar-mos.